Saying goodbye to a loved one who is passing away can be very painful. 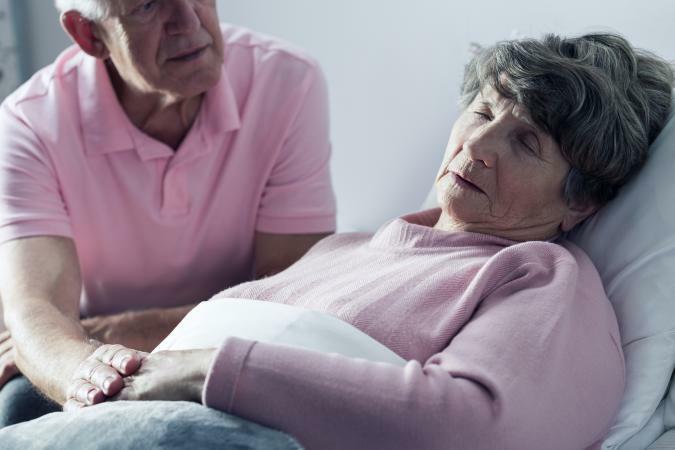 Take your time and know that saying goodbye to a loved one who is dying is very personal, and will depend greatly on your relationship with that person. Your relationship with the person who is in the process of dying will dictate how intimate your goodbye is. Even though it can be emotionally draining and difficult to come to terms with saying goodbye, doing so before it is too late ensures that you are able to acknowledge the importance of the relationship and gain some sort of closure before the person passes away. Take into account the individual's feelings and what this process is like for him or her. You may want to consider letting the other person take the lead when it comes to how you spend time together during his or her final moments. Being honest, compassionate, and frank can help you both enjoy these precious moments together. Talk to the person about their role in the family thus far and ensure them you'll step up to make sure traditions continue. For example, if they managed the family newsletter, either take that task on yourself or secure an appropriate replacement. 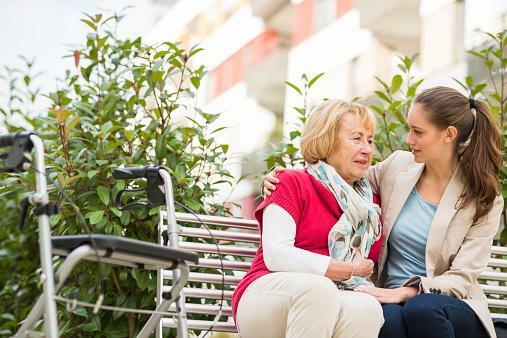 Remembering fond memories together is appropriate with anyone who is readying to pass away; if the two of you don't have memories together, asking about memories with other family members can lead to touching conversations. Simply being there and giving them the gift of your presence and listening ear can be healing for the both of you. Some people shy away from people who are dying because of the emotion involved or because they don't want to face their own mortality, so when you step forward for a conversation, you're doing something others can't or won't do. When you speak with the person who is about to pass away, don't try to offer false hope. People who are passing away deserve the opportunity to accept their death, and saying, "You're going to be fine" is contrary to what they've probably worked very hard to accept and seems condescending or dismissive. Asking "What can I do for you after you're gone?" isn't insensitive and can provide some comfort to the ailing person. Just be sure to follow through on whatever promises you make. If the person is religious, offer to pray with them and pray for a gentle transition to the afterlife. Start the letter with an apology that you can't be there in person. Include some words about your love or fondness for them. Thank them for their involvement in your life thus far. If you have a special memory, include it within the letter. Wish them peace and assure them they will never be forgotten. If appropriate, assure them that you will step up to help other loved ones as needed. Conclude the letter by reiterating your love or fondness for them. Death is an incredibly difficult event to cope with. Honoring your loved one and saying goodbye in a special way allows you to let the person know just how much you love and care about him or her.